TalkTalk has announced it will be removing one of its sports boosts, available to customers of its YouView based TV service. The Premier Sports boost, which offers customers access to additional football, gaelic games, rugby league, motorsports and ice hockey coverage is the latest service to be pulled from TalkTalk TV. Premier Sports will cease to be available on TalkTalk from 9th August 2016, but the ISP has told customers that if they want to continue watching Premier Sports, they will need to go online and sign-up directly with the broadcaster. 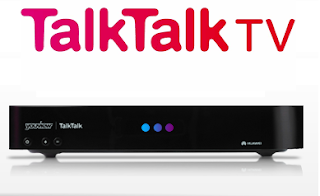 Earlier this year, TalkTalk reached a deal with BT, meaning TalkTalk customers now have access to BT Sports in standard definition, giving customers the ability to access all Premier League matches on TV, indicating TalkTalk's push to more mainstream sports content at the expense of the relatively little-known Premier Sports. The removal of Premier Sport takes place just days before changes to other packages take place: as reported last week, customers with the Entertainment Extra boost will be moved to the Entertainment and Kids boosts. As a result, customers who want to keep the same channels will need to pay more each month. Additionally, TalkTalk is axing its Eros Now Boost, which offers South Asian movies on-demand to customers, on the 13th August. UPDATE: TalkTalk latest response on the changes to its TV service.